In 1839, British author Edward Bulwer-Lytton wrote that the pen might some day be mightier that the sword. Almost 200 years later, everybody knows this as a fact. Wars are now fought through the media, and before you commit genocide, it is important that everybody agrees that these people must die. But what is today's "pen"? Is it a song by a Bono? Is it an article in The New York Times? Is it an interview by David Letterman? If you want to change the minds of a large group of people, nothing is more effective than a documentary. 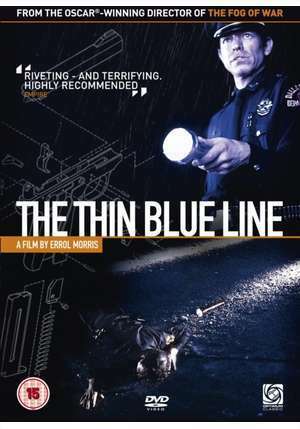 Michael Moore proved this point to the utmost with his groundbreaking film Bowling for Columbine, in 2002, but before that, there was a Thin Blue Line. A thin blue line between law and order. A thin blue line between right and wrong. 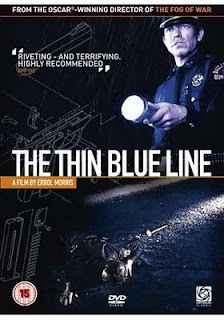 A thin blue line between truth and freedom. This film is an hypnotic journey into prejudice and murder, which makes you reconsider the decisions you make every day. Watch it, or stay in the dark.